Give me makeup, any makeup, and I will not refuse. Recent discovery is Makeup Obsession and damn its bomb. 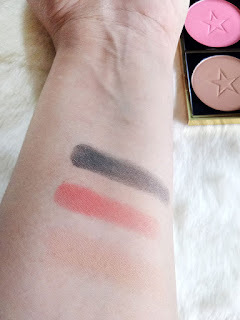 TAM beauty brands seriously never fail to impress and I will tell you and show you why. I have already mentioned TAM beauty and many of it;s brands several times on my blog because I am OBSESSED with their products mainly because its cost effective and the quality is great. Makeup Obsession is a recent brand that TAM beauty has launched. 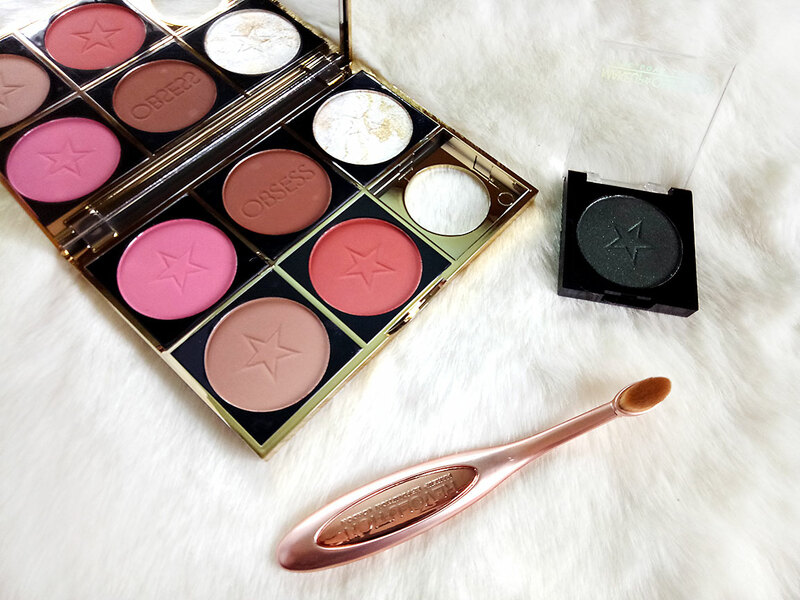 The primary concept is picking and choosing different products to make your own customized palettes. 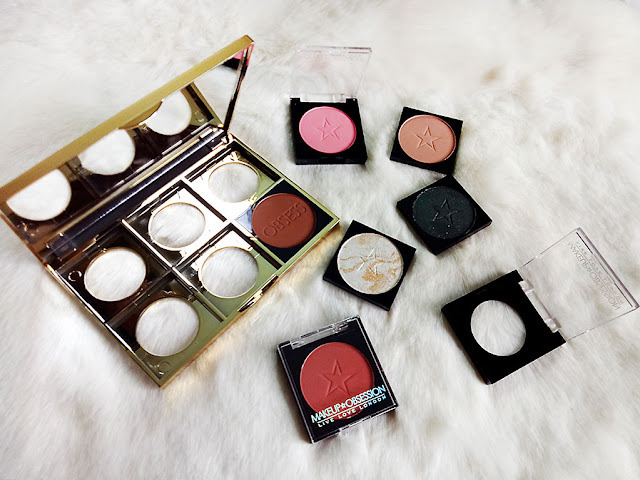 They have single pan products available in different kinds of makeup options:eye shadows, blush, highlighters, lipsticks, contour, eyebrows, which you can pick and chose as they are all same size. 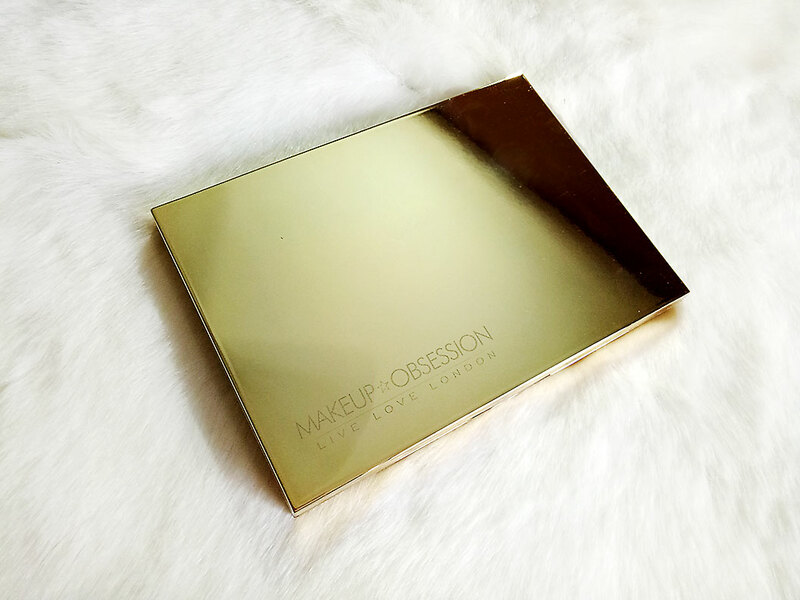 Each product comes in a single plastic case which has a detachable pan that can be inserted in the palette of your choice from Obsession Makeup. 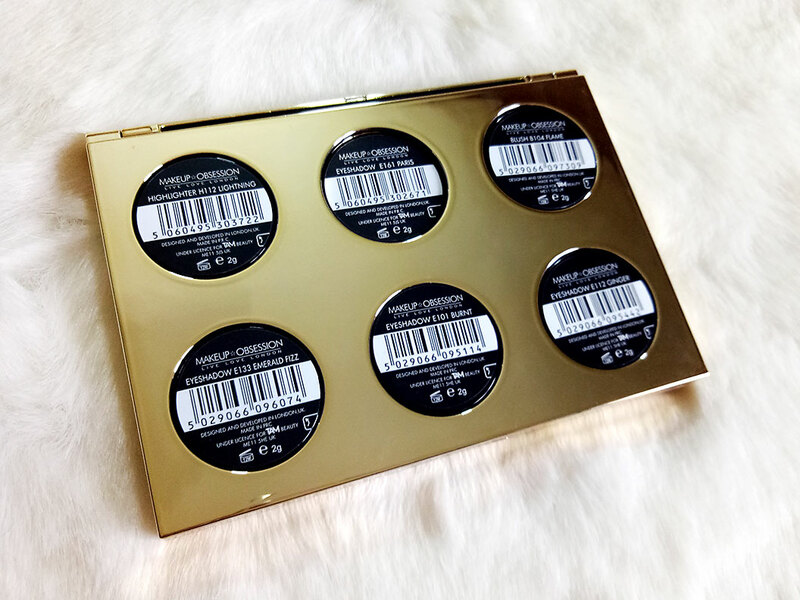 Just choose your palette, fill it with your picks and your customized makeup palette is ready! There are two sizes available for the palettes, large and medium. Large contains 12 products and medium contains 6. There are various color options like gold, silver, black, etc. I got a gold medium palette. The overall packaging looks very luxe though I do have a problem with a how the singles keep popping out because when you hold the palette the bottom part is exposed and a little pressure can pop the single out. It needs to have a better secure system in terms of that so it doesn't keep coming out. The products I got were four eye shadows (Burnt, Ginger, Paris and Emerald Fuzz), one blush (Flame) and one highlighter (Lightning). I used them on one of my clients and the pigmentation . . . ok let me take a moment to breathe . . .the pigmentation is FIERCE. There is some fall - out, yes, but that maybe the only con. 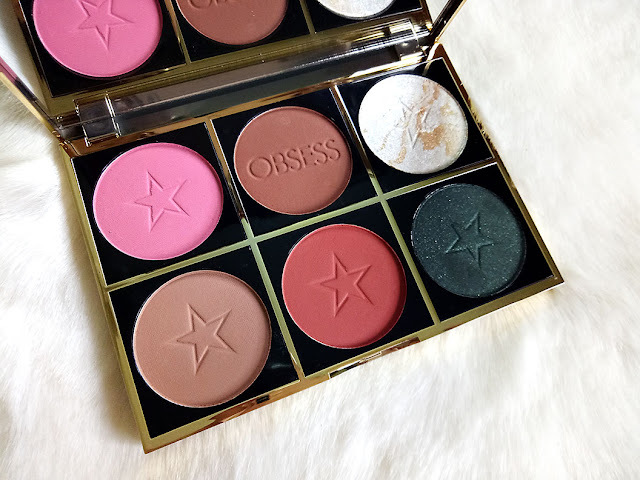 The rich color, pigmentation and the buttery smooth formula won my heart. Its easily blend-able and also long-lasting. There is a lot of variety in each product variant and after testing these I feel the palettes need to be bigger so we can hoard. The above swatches are just one stroke and they are so freakin rich. 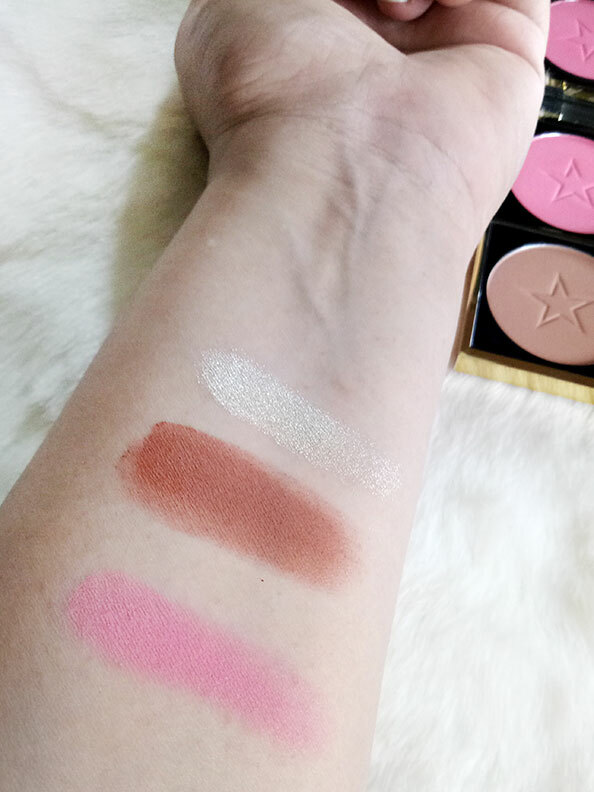 I do feel the matte eye shades are better than the shimmery ones though. Medium palette is for pkr. 640. 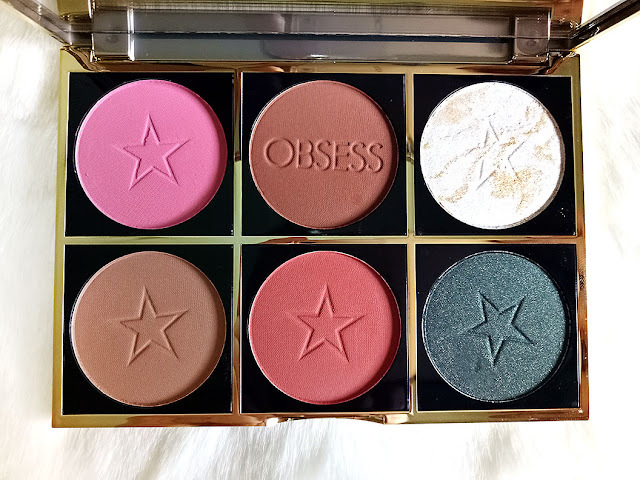 All TAM beauty brands, including Makeup Obsession, are available on their WEBSITE. In Pakistan you can find them in most big Makeup Stores as well as online on Daraz.pk HERE.